Brief Description: Pronto is a cute, casual café on Cambie Street that specializes in porchetta (Italian roast pork), and Italian-inspired panini, sandwiches, and entrées. 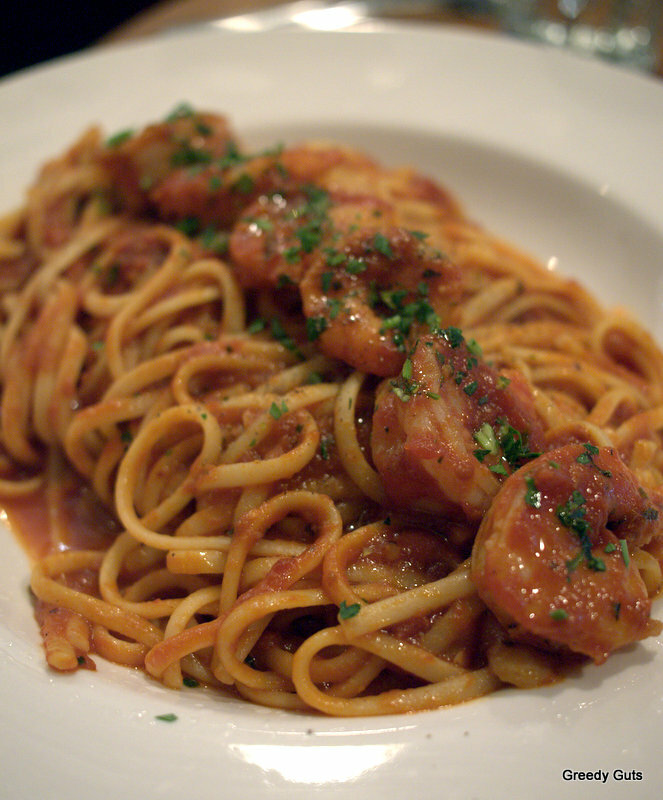 Pronto is one of those unpretentious cafés that offers tasty food and good value for money. 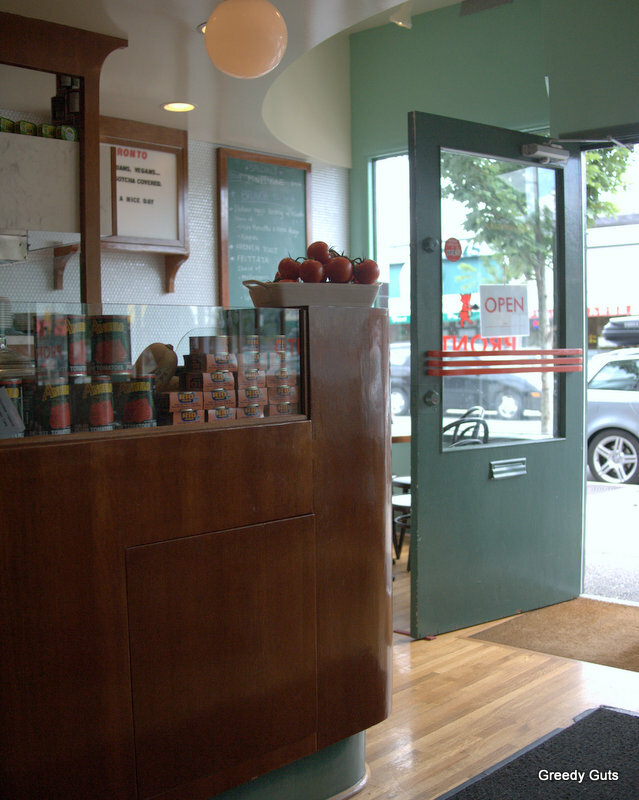 Located at 18th and Cambie Street, it is truly a neighbourhood café and the relaxed vibe attests to this. During the warmer weather opt for the secluded, sunny outdoor patio in the back, or one of the alfresco tables that overlooks Cambie Street. If the weather has turned, no worries, the art deco-style interior is welcoming and there are booths to snuggle up in, or limited bar seating to watch the action. The food is simple in its approach and the menu includes Italian-inspired panini, sandwiches, porchetta plates, pasta, and daily entrée specials, such as chicken scallopini. The sandwich selections include saucy house-made meatballs with pomodoro sauce, chicken cutlet with spicy mayo and cheese, and roasted Mediterranean vegetable. Considering how generous they are with their fillings, the prices are more than fair at $7 to $8.50. I’ve had a number of the sandwiches, and have liked them all. 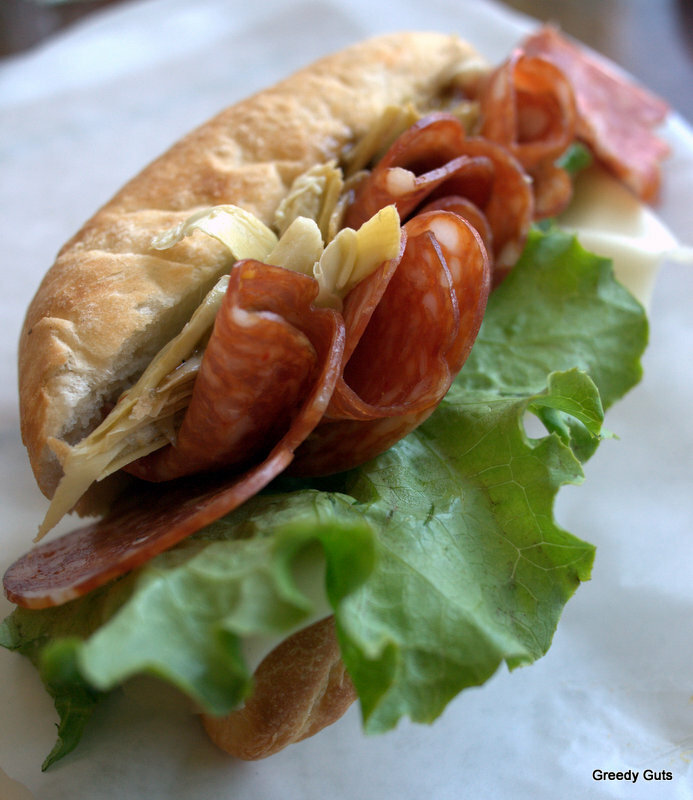 Of course, the porchetta sandwich stands out, but so does the meatball sandwich and the sopressata sandwich. If sandwiches aren’t your thing, then choose from the pasta menu or the changing daily specials. The last time I was there for dinner, my sister and I shared the linguine pesto, topped with crispy pancetta, and the tagliatelle arabiatta with prawns. The pasta portion sizes were very generous so the prices were a steal, at $12 and $15 respectively. 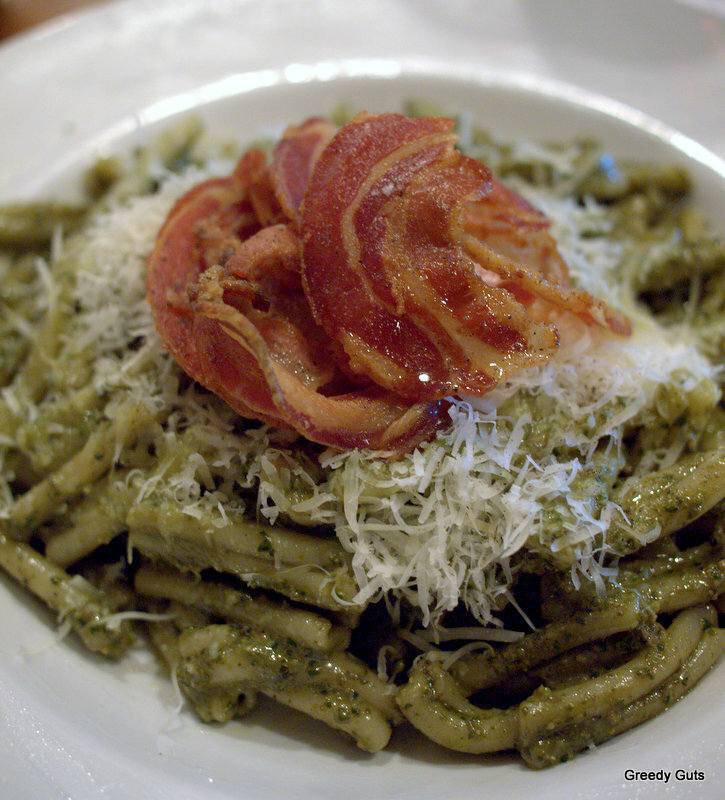 The linguine pesto was a little bland (aren’t all pesto pastas?) but the arabiatta was a satisfying taste of home-style cooked pasta. Pronto also does a brunch service on the weekends where they partner breakfast specials, such as breakfast pizza and eggs benedicts, with a limited sandwich menu. Pasta and entrée dishes aren’t available during brunch. 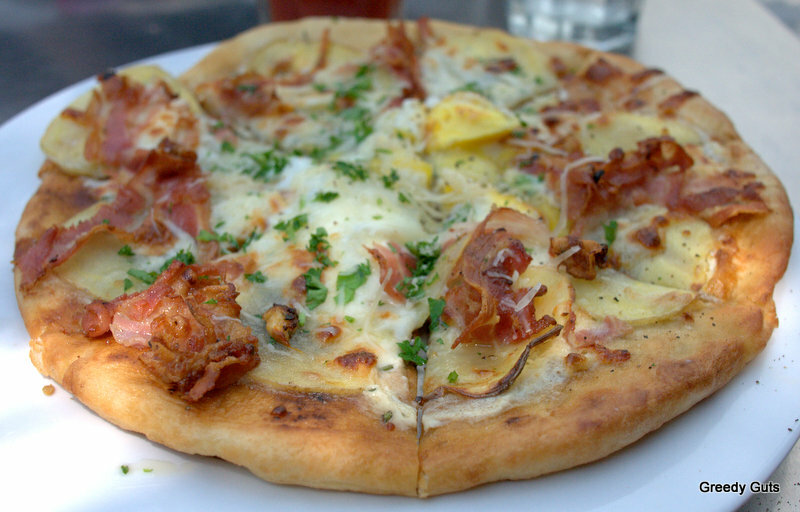 Breakfast Pizza with potatoes, pancetta, and egg. I’ve visited Pronto a number of times now and I must say that, in my experience, the service is spotty. I was there for a dinner a few weeks ago and there was venting issue in the kitchen that was creating an odd smell, which caused some folks to leave. On other occasions, I’ve had to chase up drink orders and forgotten items. I’ve had slow and inconsistent service, but I’ve always had friendly service. As odd as this sounds, these issues seem to add to the charm of this place. I’m ok with the inconsistencies because my expectations are that this is a casual, relaxed café and not a high-end, fine-dining establishment. With that said, if they could refine their service, they’d have a really great thing going on rather than just a good thing. Final Thoughts: I do like Pronto and I will continue to go back when I’m looking for a relaxing lunch spot or a cheap and cheerful place for a hearty pasta and a glass of red wine. At the beginning of the month, I visited Pronto for the first time. Whilst the service wasn’t super speedy, it didn’t stop me from going back again last week. The food was just too tempting to stay away from and it is pleasantly affordable, which is always a great find for someone who spends far too much on food. The sandwich prices, for example, range from $7 to $8.50 and I think that is a bargain for a casual lunch. 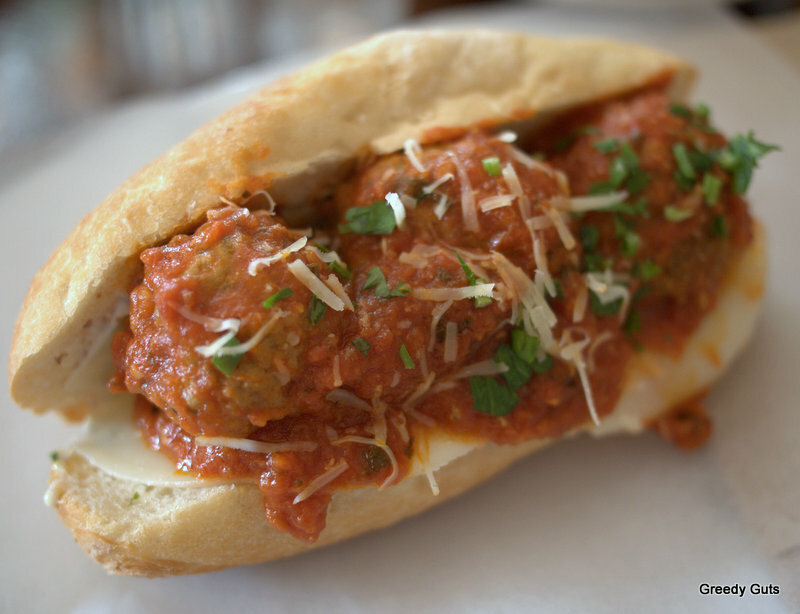 I ordered the meatball sandwich, which was jam-packed with house-made meatballs, provolone cheese, and a deliciously rich pomodoro sauce. It was extremely messy to eat but the flavours were worth making a pig of myself over. 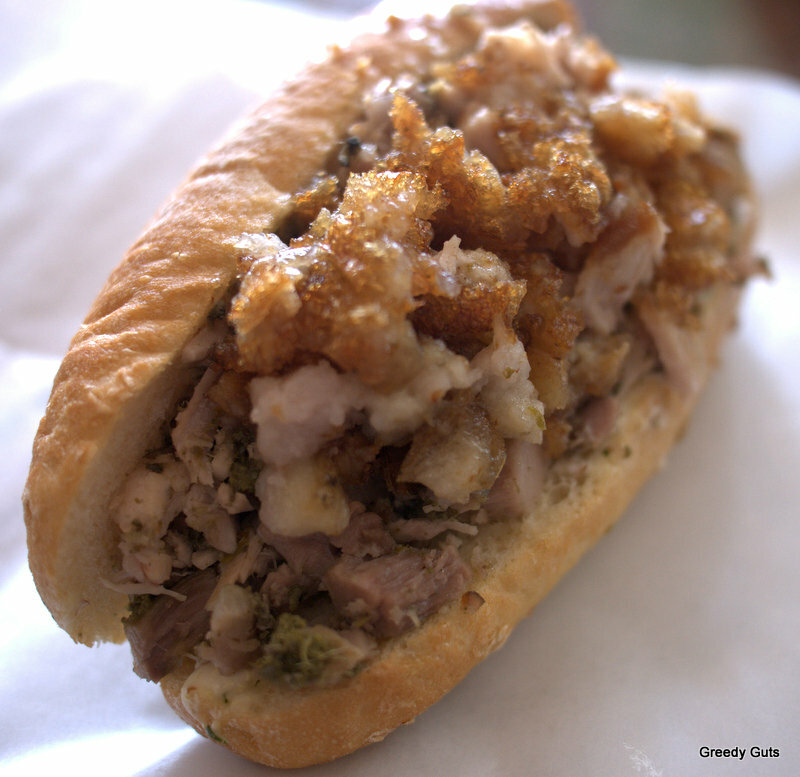 The porchetta sandwich was an obvious choice for B, who just couldn’t resist the porky goodness. Again, this was jam-packed (as you can see from the photo) and one thing that I will say about Pronto is that they are extremely generous with their sandwich fillings. It was a bit cooler the day we returned so we didn’t opt for the sunny outdoor patio, but instead sat in the cute, cozy dining room. As you can see from the above photo of the interior, it is very stylized (almost retro) but effortlessly so. As I mentioned in my first post about Pronto, the menu consists mostly of porchetta (Italian roast pork), as well as other Italian-inspired panini, sandwiches, pastas, and limited sides. I’ve yet to return on a weeknight so I’m looking forward to tucking into some pasta on my next visit (even though the sandwiches are great). Finally the good weather is upon on us (about time!) and I for one do not want to be cooped up inside whilst the sun is shining. Therefore, this weekend I was on a mission to spend as much time as I could outdoors. I had set my sights on trying out Pronto this weekend and, as luck would have it, they happened to be testing out their first ever brunch session and they had a sunny secluded patio in the back of the restaurant that I had no idea about. Score! Dare I say it? 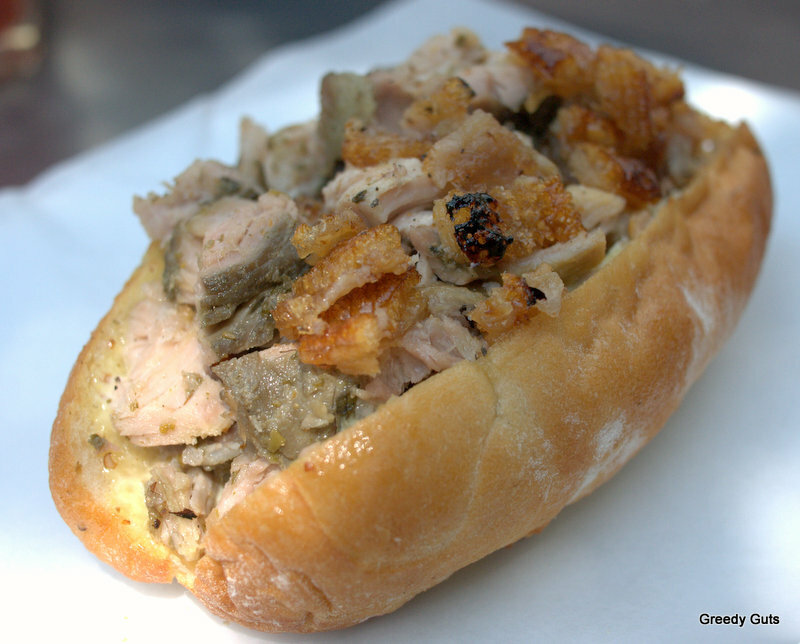 I found that Pronto’s porchetta sandwich had more flavour than the famed Meat and Bread porchetta. Yes, I said it. I want to go back and try it again, just to be sure, but from the first taste it had a lot more herbs and flavour than Meat and Bread’s. I enjoyed the breakfast pizza, although some might find it a little salty due to the fact that it was made with pancetta rather than bacon (oh man, do I love pancetta!). The egg was a little too goopy for my liking so I think that needed just another minute or so, but overall the food was really good and the prices are very reasonable. This was my first visit so it is really hard to say if the service was inconsistent with their usual service but it was quite slow-going to place an order, to get our drinks, and to get our food. Apologies were made as it was their first ever attempt at a brunch service, which I understand can be tricky to master. My suggestion would be to go for dinner as they would likely have that down pat. I won’t let this deter me from returning (and neither should you) and I am already looking forward to my next visit to Pronto.